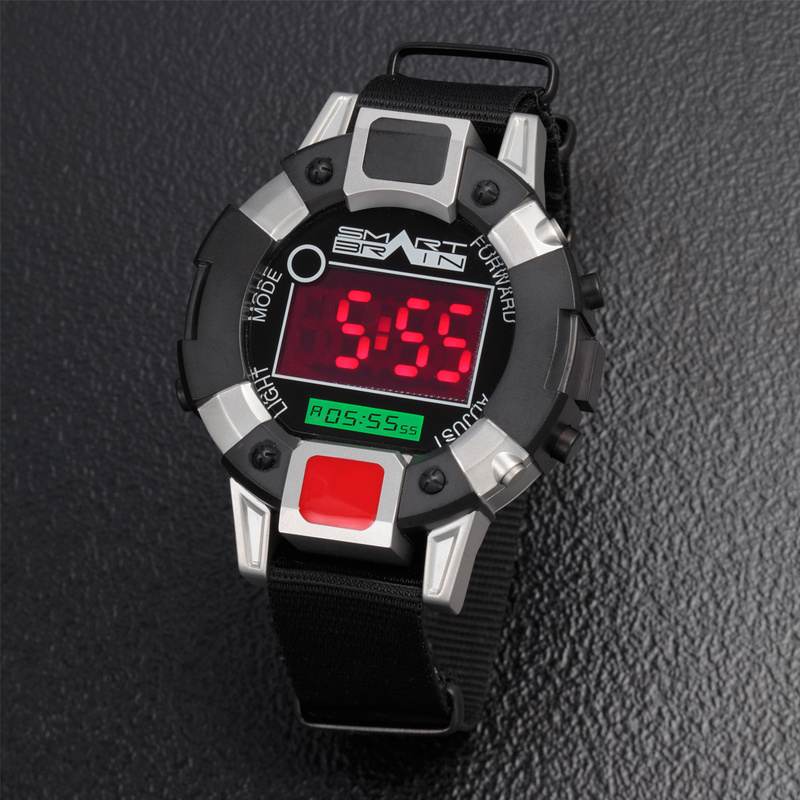 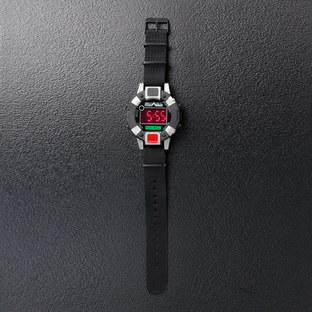 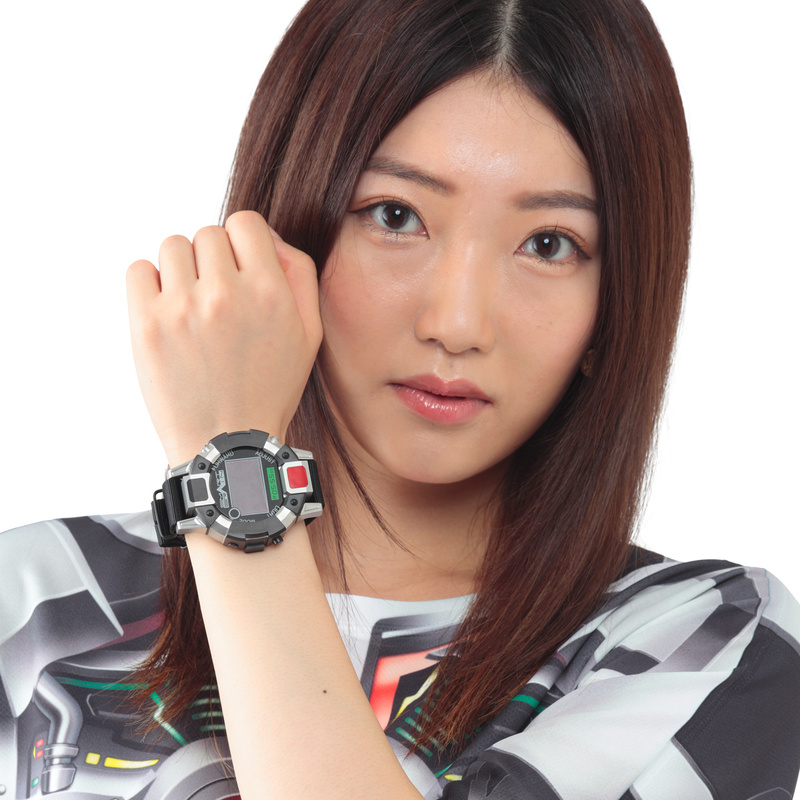 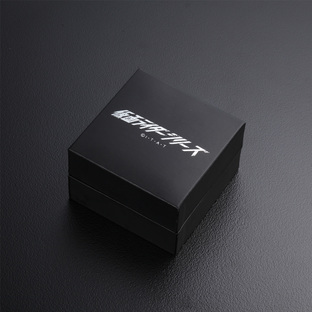 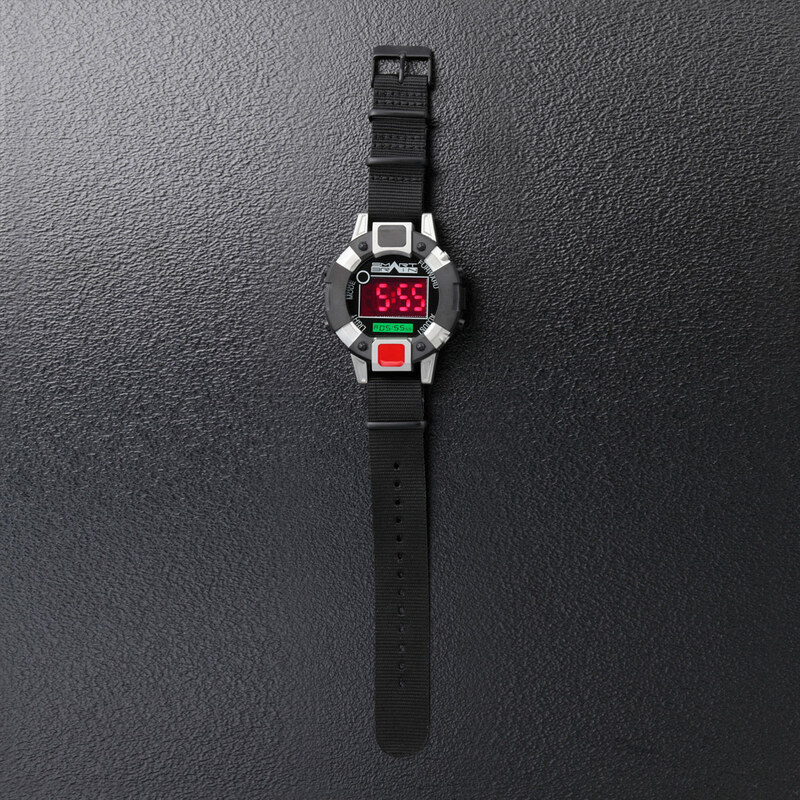 A digital wristwatch inspired by the Faiz Axel from “Kamen Rider 555”. 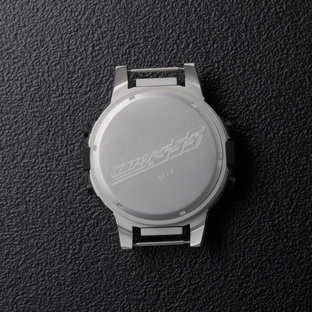 A practical design that reproduces the shape of the Faiz Axel. This digital watch is equipped with shiny bright red LED lights. 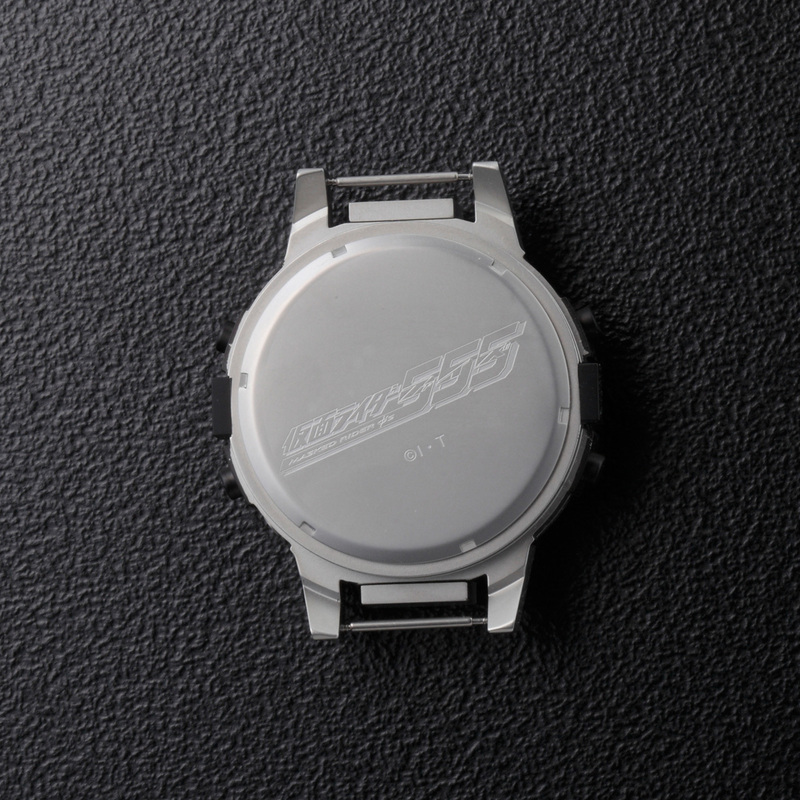 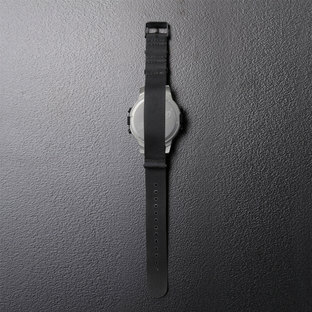 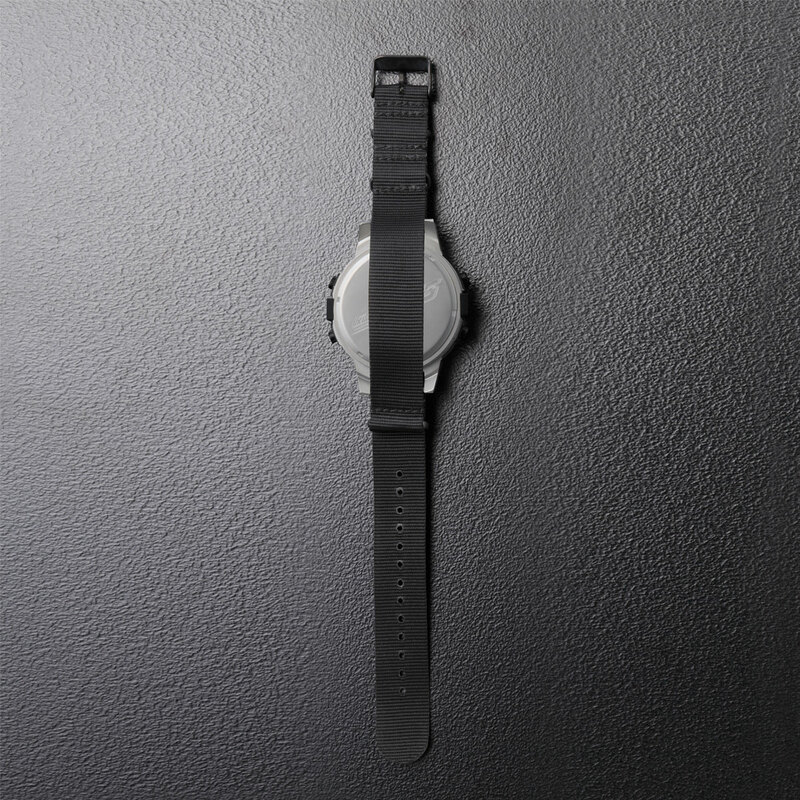 An impressive watch body with a hard and heavy feeling representing the 555-style. 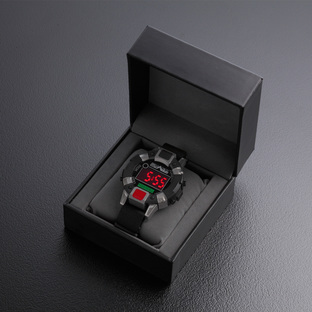 With its polyester band you can wear it while exercising. ※ The buttons are part of the decorations. Also, the black and red button are not displayed digitally.